Autism Tasmania’s experienced training team is passionate about optimising the wellbeing of Tasmanians on the autism spectrum. We believe that nothing about the Tasmanian autism community should take place without consultation and, ideally, direct participation of autistic Tasmanians. Facilitated discussions with autistic adults are a component of most training sessions. You may like to consider one of the popular training options below, or Autism Tasmania can tailor a training program to meet the individual needs of your organisation. Understanding Autism: an awareness session which aims to broaden participants’ knowledge of autism. Autism Refresher & Extension: a two hour session for participants who have previously attended Autism Tasmania’s Understanding Autism workshop. Autism Training for Disability Support Organisations: a course of 7 workshops, each of 3 hours duration. Topics include Understanding Autism, Visual Support Strategies, Sensory Processing, Positive Behaviour Support, Transitions and Routines, Social interactions and Friendships. Autism and Positive Behaviour Support: a two-day course which explores the neurological and observable characteristics of autism, examines the principles of behaviour and guides participants through the development of a Positive Behaviour Support Plan. Autism Training for National Disability Insurance Scheme staff: a two-day course designed specifically for NDIS Local Area Coordinators, Early Childhood Early Intervention Coordinators, and Community Connectors. Autism Training for Educators: a series of five workshops, each of two hours duration, focusing on students on the autism spectrum in education and child care settings. Topics include Understanding Autism, Sensory Processing, Positive Behaviour Support, Transitions and Routines, Social Interactions and Friendships. Robyn is Autism Tasmania’s Training Manager. 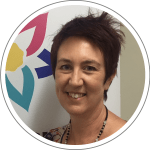 She has been with Autism Tasmania for six years, and has delivered workshops covering a diverse range of autism-specific topics for parents and family carers of children on the spectrum, community groups and professionals from the health, disability and education sectors. She has been awarded a Masters in Autism Studies from Griffith University’s Autism Centre of Excellence and has practical experience in teaching, supporting and working alongside children and adults on the autism spectrum in a variety of settings. She values opportunities to work collaboratively with individuals on the spectrum and has a passion for empowering members of Tasmania’s autism community to live meaningful and purposeful lives by increasing society’s awareness and understanding of autism. 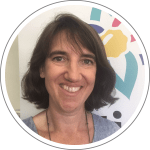 Dr. Kerryn Pammenter has a PhD in clinical psychology and experience in clinical practice with adults, children, and people with a range of disabilities. As a psychologist, she also developed and facilitated workshops regarding a range of topics for corporate clients. She has experience in academia and research, working as a lecturer in clinical psychology in Victoria prior to moving to London in 2000. In England, she expanded to working in public health where she had both therapeutic and training roles, as well as working in an educational setting. 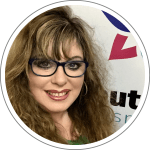 Kerryn joined Autism Tasmania in March 2017 and has been involved in developing and delivering workshops for corporate clients and people on the autism spectrum and their families. Kerryn developed an interest in autism when working in schools in the UK and seeing the difference that early interventions make for children on the spectrum. Her passion has continued to develop during her time at Autism Tasmania and she enjoys now being in a position where she can have a direct impact on improving the lives of people with autism and their families. Jessica Benge has a Certificate 4 in Disability, specialising her studies in autism. She also has 10 years of hands on experience in the autism community. Jess began her career at an early age working side by side with teachers at an autism specific school. She then was given a position as a coordinator for a support program at a high school in Tasmania’s north west. Jess was the recipient of several awards in 2013 and 2014 for her work with people on the autism spectrum including an Australian Overseas Foundation scholarship. Jess took the opportunity this scholarship provided her to travel to North America to work with an autism awareness organisation called Racing with Autism. She travelled North America speaking to over 25,000 people about autism. 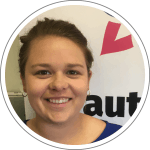 Jess joins the Autism Tasmania team with a lot of passion and enthusiasm for better outcomes for people on the autism spectrum and with lots of practical and hands on experience. Jodie joined the Autism Tasmania team 7 years ago. She has a tertiary qualification in business administration and brings with her a wealth of autism knowledge and practical experience. Jodie’s experience has provided her with a strong and invaluable understanding of the unique challenges and triumphs associated with autism. Jodie recognises the value of peer support and the benefits of networking in understanding the programs and services available within the community. Jodie has undertaken a diverse range of duties at Autism Tasmania, including facilitating and delivering parent/carer workshops and conducting fee for service training to a broad range of organisations. Jodie is passionate about developing an increased understanding and acceptance of autism within the greater community thereby enhancing the lives of people living on the autism spectrum.